It’s crunch time in terms of securing a Farm Bill that protects SNAP (food stamps) and we need all the help we can get to ramp up energy and make sure our voices are heard by our elected officials! This is an urgent matter: 1 in 6 children in our nation are experiencing food insecurity and we can’t cut access to food now. It’s time to act. We have 3 very important, quick actions you can take to make sure you speak out and let your members of Congress know that we expect them to protect SNAP in the Farm Bill and guarantee that struggling families are able to get the nutrition assistance they need. 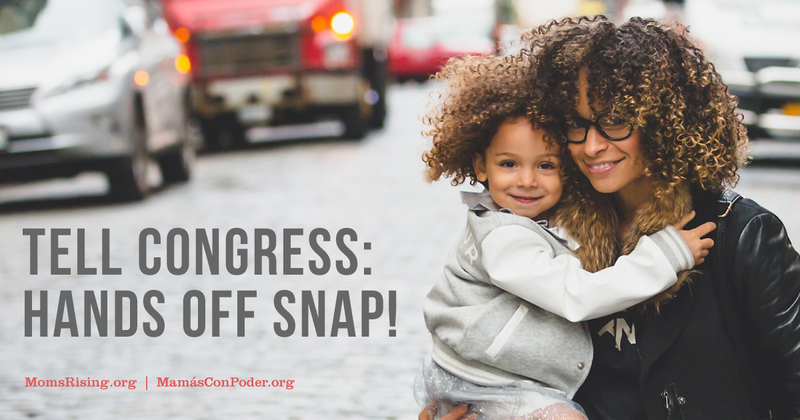 ACTION #1: Call your U.S. Representative TODAY and tell him/her to protect SNAP! 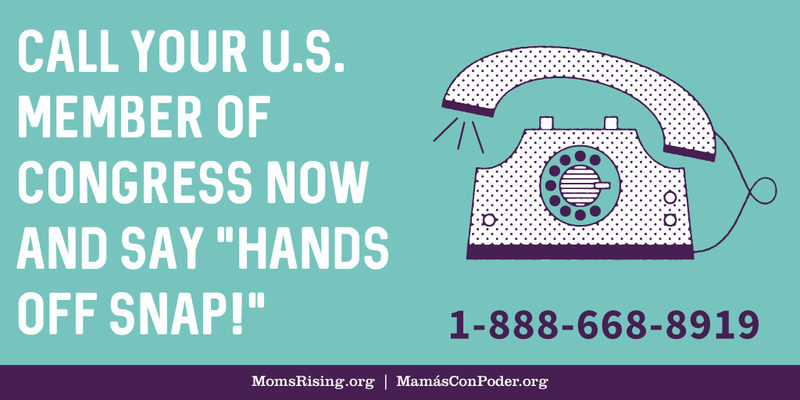 Call 1-888-668-8919 and tell your Representative “Protect our families in the Farm Bill by voting against unnecessary work requirements and cuts to SNAP!” (When you call this number we will walk you through the process and connect you with your Representative. Super easy!). Thousands of people will be calling Congress today as part of the SNAP National Call-In Day...make sure you are one of them! ACTION #2: Sign our letter to Congress asking them to protect SNAP in the Farm Bill! ACTION #3: Submit a letter to the editor to your local paper advocating the importance of SNAP to our families and our economy! This is a highly visible and high impact way to pressure you members of Congress into doing the right thing and voting to protect SNAP in the Farm Bill. You taking a moment to write a Letter to the Editor now will send a strong signal to Congress that their constituents are concerned about the future of SNAP. 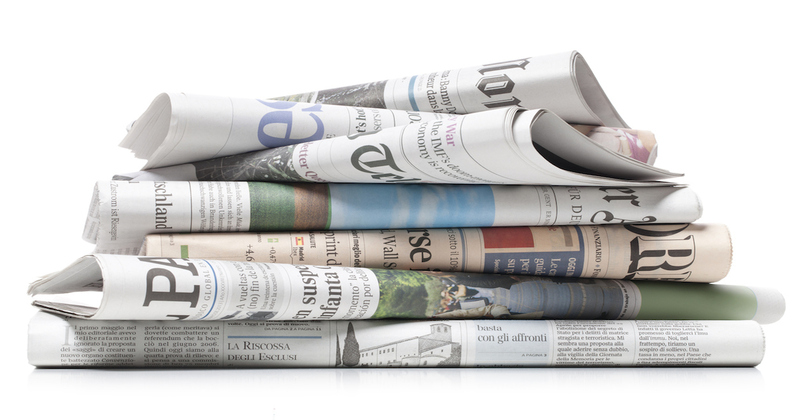 Plus: Members of Congress pay special attention to their local newspapers! We want to flood our local newspapers with Letters to the Editors NOW so members of Congress know that protecting SNAP must be a top priority before they leave D.C. in October to campaign for the mid-term elections. We’ve had hundred of moms, dads, and concerned citizens submit letters already — now’s your chance to join them! (Don’t worry, we make it SUPER easy for you with our Letter to the Editor tool, which walks you through steps quickly and submits your letter straight to your local paper). Want the backstory on what’s happening in Congress? Read on! The U.S. Senate heard your outcry against any harmful changes to food stamps, and voted to protect SNAP in their version of the Farm Bill. On top of that, Republicans and Democrats in the Senate are still standing firm on their commitment to protect SNAP as the Farm Bill moves forward in conference. Unfortunately, things are totally different on the House of Representatives’ side. The House GOP leadership refused to listen to moms, dads, and other constituents who spoke out against their destructive Farm Bill, which takes away SNAP from millions of families and enforces strict work requirements. The House Farm Bill cuts billions of dollars from SNAP and results in 1 million low-income households, many with children, having less food. In addition, this unworkable, harmful, unnecessary, and woefully-underfunded bill takes SNAP benefits away from people 18-59 years old who aren’t currently employed or participating in training for 20 hours a week by enforcing additional and severe work requirements. Now U.S. Representatives and Senators have until September 30th to come to a final agreement on the Farm Bill. Because the two versions of the Farm Bill are so completely different, they are going to a Conference Committee to work out the differences. But there is hope! So far, the Senators on the Conference Committee (both Democrats and Republicans) and the House Democrats are standing strong and saying they will not accept any bill that has additional barrier to access, especially in the form of work requirements. Thank you for speaking out for our families and children! P.S. One more thing! We are holding our weekly #FoodFri tweetchat tomorrow (Friday, September 14th) from 1-2pm ET. We’ll be discussing the Farm Bill and SNAP with special guests CAP, Center for Budget and Policy Priorities, FRAC, First Focus, and National Women’s Law Center. Please join us on Twitter by using #FoodFri!